Rancid grease. A term that sounds unappetizing, to say the least. 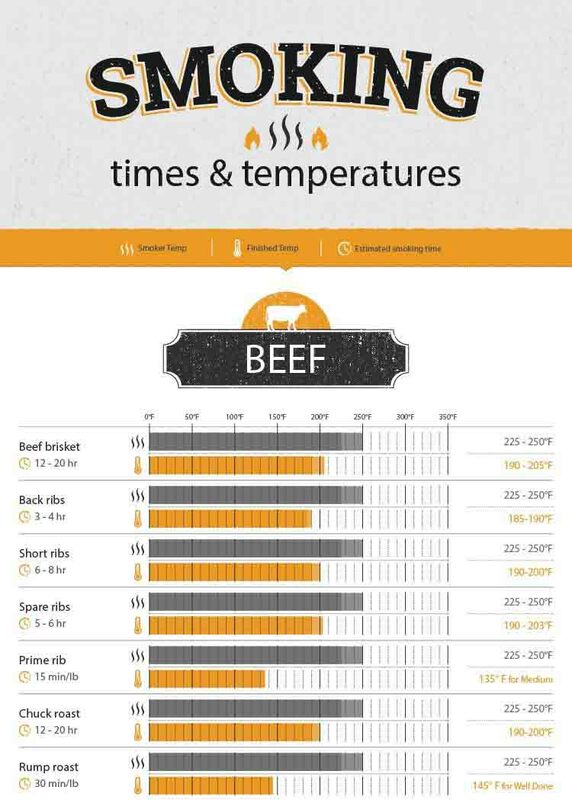 But if your grill grates are not cleaned properly, fats and oils build up, go rancid, and that horrible flavor will find its way into your meat. And as you may expect, “rancid grease flavored” meat certainly does not taste good. Caring for your cast iron grill grates doesn’t have to be hard though. By properly seasoning when you first buy them and following some simple cleaning steps each time you use your grill you can easily keep your grill in a top condition. 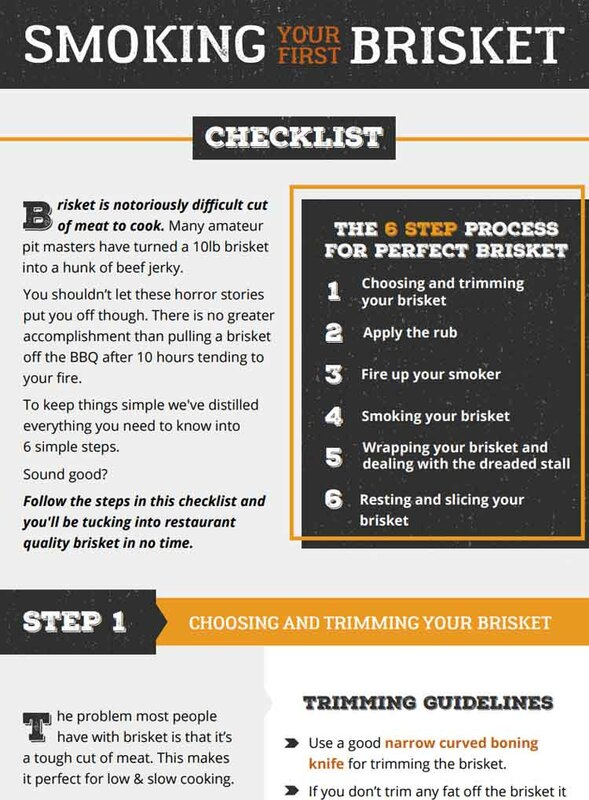 We have compiled tips, instructions and products that will help you prepare, maintain and preserve your grill grates. Before you cook on cast iron grates for the first time, you must wash and season them. Seasoning your grates prevents them from rusting and will also create a non-stick surface. In order to remove any dust, rinse your grates with warm water. Don’t use soap. Dry the grates off well with a towel. Using paper towel or a natural bristle paint brush, coat the cast iron with your choice of cooking oil. 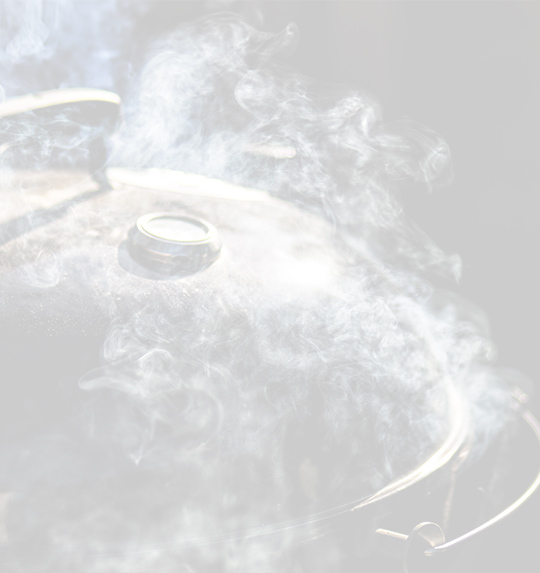 Many barbecue enthusiasts recommend peanut oil due to its high smoke point and low viscosity. Place your grill grate on your unlit grill. 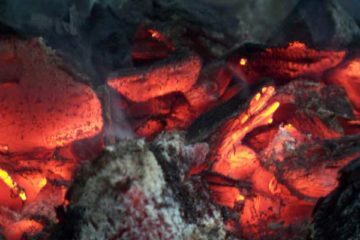 Light the coals and bring the cooker up to about 350-400°F, and leave it at this temperature for about 40 minutes. Put out the coals, and let the cast iron cool. This is the first seasoning. It is recommended that you season your cast iron regularly. 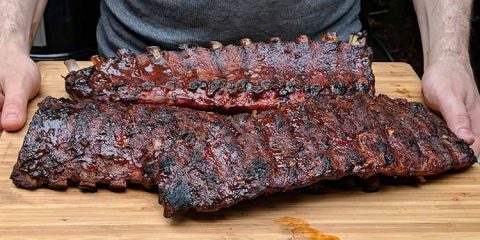 Some barbecuers will season after every cook, while others leave it for about 4-5 cooks. Some cookers offer porcelain coated or stainless steel grill grates. What should you know about these options? These grates are made of either steel or cast iron, and then coated with porcelain. This means you get a non-stick, low maintenance grill grate. 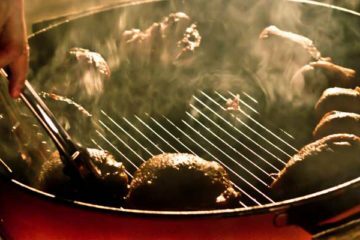 Some manufacturers claim that these grill grates don’t need to be seasoned either; but refer to your manufacturer’s instructions to be sure about this. On the down side, it is claimed by some pitmasters that, over time, the porcelain enamel coating will fade/flake off, exposing the bare cast iron or steel. To avoid this, don’t use hard metal scrapers on these grates, and be careful not to drop them, as this can chip the coating. Stainless steel does not reach the same high temperatures that cast iron does, but it does retain heat well, and will practically last forever if cared well cared for. Stainless steel also offers a very resilient cooking surface. It is able to handle exposure to sun, moisture and salt without rusting out. As is the case with porcelain, cleanup is easy, and there is no need to oil the grill plates. On the down side, stainless steel may darken over time. However, this is not rust, and will wipe off if it really bothers you. What do you do if your grill grates become rusty? And how do you maintain them to ensure they don’t rust in the first place? 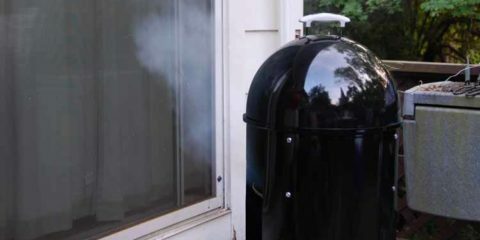 You can see it all in this video from Greg Mrvich of Ballistic BBQ. We have also broken it down for you with the following step by step instructions. First, try rubbing the the rust off with a wire brush. If it seems that using a brush will take too long, you could try using sandpaper to take off the rust. If the rust is really bad, there are rust removal products you can purchase. If you use one of these, make sure you wash the plates thoroughly to remove all product residue. Dry the grill plate with a towel. If you prefer to use non-toxic products, Evapo-Rust is a great option. It is biodegradable, non-flammable, odorless and safe on skin. While it is effective, it will take a little longer to work than other rust removers. If you are happy to hit your grates with a heavier duty product, then give Naval Jelly a try. 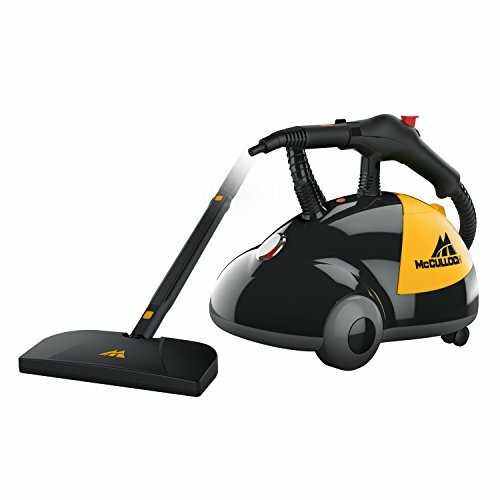 It works in 5-10 minutes, and the residue can be cleaned up with water. Be sure to check the manufacturer’s instructions, as there are some surfaces this product cannot be used on. Once you have removed the rust and you can see the bare metal again, it is time to re-season your grate. If you are re-seasoning a grill plate that had rusted, you should also follow the steps below. While it is true that you can season your grates in your household oven, it can be smoky and smelly affair. You might prefer to do this outside using your cooker. Light about 50 lumps of charcoal for a 22½ inch Weber (less if your cooker is smaller) and spread them out evenly. Carefully place your grates in the cooker. Using a natural bristle brush (nylon bristles will melt), coat your grates with cooking oil. Peanut oil is recommended by many pitmasters. Expect some smoke as the oil hits the hot coals. Holding it with tongs, use a piece of cloth to wipe off excess oil, leaving only a thin coating. Replace the lid of the barbecue and let it cook for about 30 mins. After 30 mins, repeat the process of coating the grate and wiping off the excess oil. Replace the lid for another 30 mins. Repeat this step about 4 times. The whole process will take about 2 hours. You will be able to tell that the grates are properly seasoned if they are a shiny, black color. A good habit to get into is to clean your cooker after each cook. 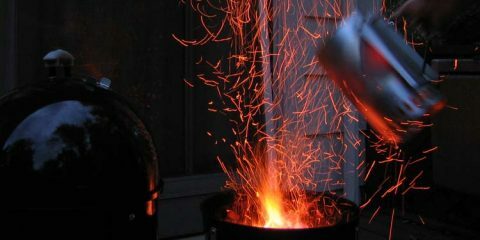 Simply let the charcoal burn out when your cook is done. If you have a gas or pellet cooker, leave them on for a while after the cook. The goal is to carbonize any residue left of the grates. Scrub the rods with your cleaning tool of choice while they are hot. To finish, it is a good idea to wipe the rods with a damp cloth. This will ensure any leftover chunks or bristles from your brush will be picked up. Don’t be tempted to pop your grill plates in the dishwasher. The grease from the plates will leave a coating over everything else inside. While a seasoned grill plate is good, a seasoned dishwasher is not. Make sure you put the lid back on your cooker when it is not being used. You also need to open the top and bottom vents so that there is airflow through the cooker. This will ensure that condensation does not build up inside the cooker and cause rust or mold issues. If you need to store your grates for some time, it is advisable to heavily coat them in cooking oil, and wrap them in a plastic bag. You can then store them inside your cooker if you wish. You’ve got plenty of options for cleaning your grill plates. From simple aluminum foil that you should have lying around the home to full on steam cleaners. We have a full guide to the best tools for cleaning your grill or you can check out a few options below. You can clean your grill plate while it is hot by throwing on a heatproof glove, and rubbing your grate with a block of hardwood. After some time, the wood will form grooves that are custom made for your grill! Lay some foil on the grate, weigh it down and crank your cooker for about 5 minutes. If you don’t weigh the foil down the hot air will make it float up. Use some tongs to take off the foil, scrunch it up and scrub the grates. You will need to use tongs or heat proof gloves because the foil and grates will be hot. You will probably need more than one wad of foil to get the job done. No need to heat the second sheet of foil. A word of warning – If you choose to use a bristle brush to clean your grate, check thoroughly for lost bristles in your cooker. If bristles are swallowed, they can cause serious damage to the throat and internal organs. 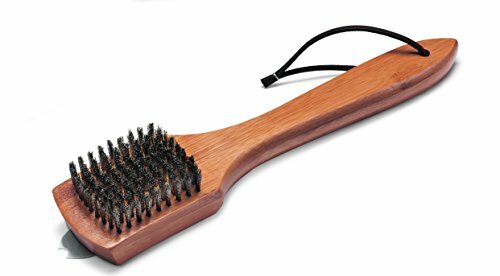 Consider the Weber Bamboo Grill Brush. 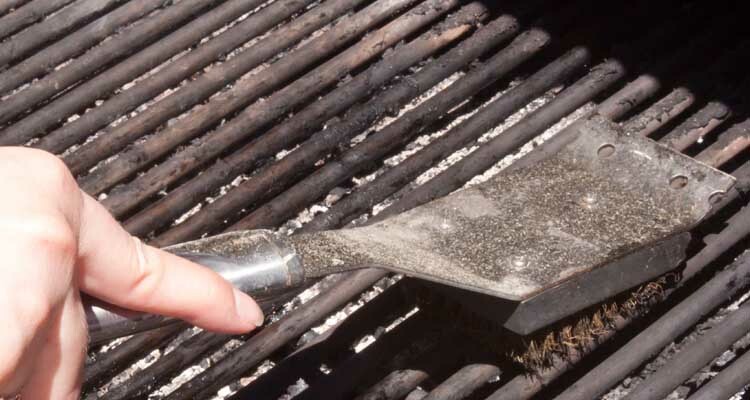 While some have had issues with bristle shedding, many barbecue enthusiasts find that using a brush like this is one of the quickest ways to clean grill grates. You should be able to get a fair amount of use out of a high quality bristle brush, but If you do notice your brush is shedding bristles, throw it out immediately. Due to their U-shaped tip, scrapers such as the Bayou Classic Grill Scraper hug the grill rods, meaning they are able to remove grime from the top, sides and bottom of the rods. Because of this design you can get your grill cleaner than if you used a wire brush. The rod comes with a wide and narrow end so you can pick the right width for your grill. Grate scrapers do a thorough job, but will take a little more time than a brush to clean the grate. You only need to use a steam cleaner once or twice a year, or if your barbecue has become seriously dirty. The beauty of steam cleaners is that no heavy duty chemicals or elbow grease is required to thoroughly clean your grates. We hope you have enjoyed this tutorial on how to clean and maintain your grill plates. A little bit of time spent maintaining your grill plates will ensure you will get years of mileage out of them, so it’s worth the effort. Do you have any handy tips to share, or any questions that we have failed to answer in this post? Be sure to mention them in the comments section below. And if you found this article helpful, be sure to share!